Every year, DaVita Kidney Care strives to improve clinical outcomes for our patients by evaluating the way nephrologists and dialysis caregivers approach patient care. Since 2000, we have succeeded in improving outcomes in specific areas relating to infection control, improved catheter rates, increased use of fistulas, better dialysis adequacy and year-over-year decreased mortality rates. The end result of these improvements in care is increased overall quality of life for our patients. In 2013, DaVita Kidney Care developed the Patient-Focused Quality Pyramid as a way of contextualizing our efforts to improve patient care and outcomes. We hosted brainstorming and interview sessions across the country to learn what patients want from their dialysis provider. Also, once a patient has accepted the realities of dialysis treatment, what are his/her priorities? Unsurprisingly, one priority stood out: quality of life. Our patients’ expectation of their doctors, nurses and care team was that we would do everything we could to improve their quality of life. We, in turn, realized we needed to shift our priorities and our approach to care in order to meet this expectation. We began with the fundamentals of dialysis care – dialysis access, blood-level monitoring, dialysis adequacy, target weight and parathyroid hormone. Once we had narrowed down our fundamentals, we developed complex programs to treat our patients and cover the necessary elements of dialysis care. We could measure the effectiveness of these programs and, ultimately, improve our patients’ health-related quality of life. Using the Patient-Focused Quality Pyramid as a framework, DaVita Kidney Care launched a series of next-generation clinical initiatives that focus on infection reduction, medication management, diabetes management and fluid reduction. We established these initiatives following conversations where we determined that our physicians’ priorities were aligned with our patients’ quality of life. In particular, our physicians wanted to reduce the number of patient hospitalizations, an important number in a patient’s quality-of-life analysis. Our FluidWise program focuses on educating our physicians, patients and teammates on the importance of fluid management, sodium intake and weight management. The program’s goals are to reduce fluid-related hospitalizations and limit the stresses placed on the body during fluid overload. Extracellular volume (ECV) is one of the leading causes of hospitalizations for patients on dialysis, most often related to shortness of breath and high blood pressure. Since launching FluidWise in January 2013, 95 percent of DaVita Kidney Care patients have dialysate sodium levels less than 138 mEg/L. The program has led to a 21 percent decrease in patients with frequent excessive fluid gain. Most importantly, our patients have experienced improved quality of life through the management of weight gain and thirst, in addition to reduced rates of hospitalization. One of the key components of FluidWise extends beyond patient education. In a study following approximately 1,200 patients, we determined that education alone is not enough to help reduce hospitalizations. Centers also need to objectively monitor patients’ ECV with the knowledge that this number is a critical metric for fluid management. While still in its early stages, FluidWise has so far proven effective in optimizing fluid management and reducing fluid overload during dialysis. We are educating patients on the importance of weight management and sodium intake and continuing to encourage them to take personal responsibility for controlling interdialytic weight gain. We intend to continue stressing the importance of fluid management in our dialysis centers as an important means of improving patients’ quality of life—ultimately, their quality of life reflects the quality of care they receive. By utilizing DaVita’s clinical initiatives, we are able to offer technical innovations in care delivery, which, ultimately, continue to improve our clinical outcomes for patients. DaVita internal clinical data, 2000-2013. Patient satisfaction: 2013 ICH-CAHPS Survey; ~57,000 DaVita patient responses. “Frequent” is defined as >10% of treatments over the trailing three calendar months. “Excessive” is defined as >5% weight gain (as a % of target weight) between treatments. Thomas F. Parker, Raymond M. Hakim, Allen R. Nissenson, Mahesh Krishnan, Franklin W. Maddux, and Kevin Chan. Extracellular Volume Control in Dialysis Patients to Reduce Hospitalizations (November 2012). http://www.abstracts2view.com/asn_2012/view.php?nu=3312&terms=&type=abstract. What about fluid intake for people not needing dialysis yet? For someone with congestive heart failure? The situation for patients with chronic kidney disease before needing dialysis, and CHF patients is different than that for ESRD patients. The common theme, however, is salt intake. 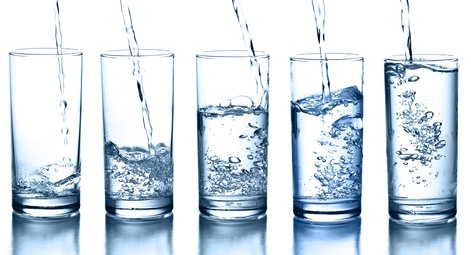 That is, when patients with ESRD, CKD or CHF start to accumulate excess fluid limiting salt is the first step which will decrease thirst and help control water intake. The content contained on this site is for general informational purposes and is not intended to be a substitute for medical advice from a physician. Communication on and/or other use of this site does not establish a physician-patient relationship. This is not the forum for patient-specific questions or for obtaining medical advice. If you have questions or concerns about your individual health care, please speak directly with your health care providers. If you are a DaVita® patient, please contact your nephrologist or your Facility Administrator. If you have a healthcare emergency or need immediate medical attention, please call 911 or go to your nearest emergency department.